The Hampton Inn ® likes to pamper their guests with the highest quality bedding, and now you can have that same comfort in your own home. 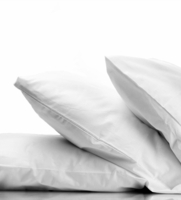 One pillow that is found on many Hampton Inn beds is the Down Dreams ® Classic Soft Pillow. Enjoy these super soft pillows in your home today!